Henry’s brother drove a coach and horses from the city to the hotel, a tiresome journey of six hours over rutted roads. Henry (spelt at that time Hendrey), who was fascinated by the power of steam, realised how much it would benefit the tourist trade if he could bring people quicker by river traffic. Ten years after Helensburgh was granted Burgh status by King George III, his steamship achieved the dream. On August 6 1812, the Comet took only three and a half hours to steam from the Broomielaw to Greenock. This seminal event was to make Helensburgh the earliest seaside resort on the Clyde, and defined the town’s role for many years to come. Shipbuilding followed, making the River Clyde the foremost shipbuilding river in Europe. The town was beginning to grow slowly, although not as the little manufacturing town that founder Sir James Colquhoun of Luss, the 1st Baronet, had envisaged when he planned it and named it after his wife Lady Helen Sutherland in 1776. In a 1792 guide book Helen’s Burgh was described as a bathing resort. In 1802 the 2nd Baronet, also Sir James, was granted Burgh of Barony status for the town on July 28, and this resulted in a Town Council of one Provost, two Bailies and four councillors, a weekly market on Thursdays, and four annual fairs. 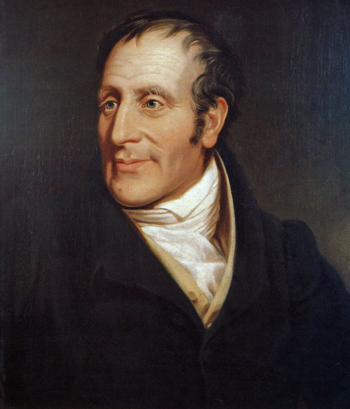 However it was not until 1807 that the council began to operate, with Henry Bell serving as the first Provost from 1807-9, a period when much was done. After that he concentrated on his steamship project, and although the Comet service was a success after its launch in 1812, the vessel was not big enough to make enough money. By 1816 there were 20 steamships on the Clyde, so there was considerable competition. Henry decided to move the steamship to the River Forth for a time. Then he beached her at Helensburgh where James Nicol lengthened her by 20 feet and installed a 6 horse power engine to enable her to sail to Inverness via the Crinan Canal, and he was the first to open up the Highlands and Islands to tourism. Alas the Comet was wrecked on a return journey in 1820, but he built the Comet II, and in 1822 Captain Robert Bain, who also captained the first Comet, sailed through the Caledonian Canal when it was opened — the first ship to sail from sea to sea. Later this steamship was wrecked off Gourock with great loss of life. In 1822 a Government paper gave Henry the credit for the first commercial steamship, but they ignored the huge cost to him apart from a payment of £200 “for services more valuable than many Waterloos”. He had not taken out a patent for his invention, and others made fortunes from it. He was much loved and had many friends, but the enormous expense and the lack of backing crippled him financially. He had mortgaged his house in 1810 for £2,000, probably to enable him to build and launch the Comet. He was wracked with worry about how his beloved wife would manage without him and disappointed that his country did not value his achievements. It was a sad end for the visionary who dreamt of opening up the sea routes of the world, in which his little Comet was in the vanguard. On November 19 he had a big funeral. The town’s flags flew at half-mast, and the shops were closed. The great and the good, including Lord John Campbell, the local gentry and clergy came to honour and bid goodbye to their late Provost and friend, pioneer of steam navigation in Europe, the man who had brought fame to the town. There were merchant ships from 20 shipping lines moored offshore, and the paddle steamer Waverley fired minute guns as the cortege journeyed to Rhu (then Row) churchyard. 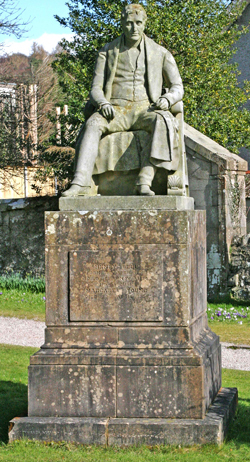 Clyde shipbuilder Robert Napier, who lived at Shandon, was a great friend of Henry and always acknowledged his debt to him, erected a large monument to Henry’s memory (above left), near the memorial Henry had erected to Captain Bain. In 1839 a monument was erected at Dunglass, Bowling, by the Clyde’s shipowners. In Helensburgh a street was named after him, and a monument in the form of an obelisk was erected on the west esplanade at the foot of James Street. A ship was named ‘The Henry Bell’. James Watt, the giant of steam power, had decried Henry’s attempts to solve the problem of commercial steam navigation. But Isambard Kingdom Brunel, chief engineer of the Great Western Railway and a giant of engineering, supported Henry and gave him credit for being the first owner of a passenger-carrying steam-driven ship in European waters.